The location was amazing! 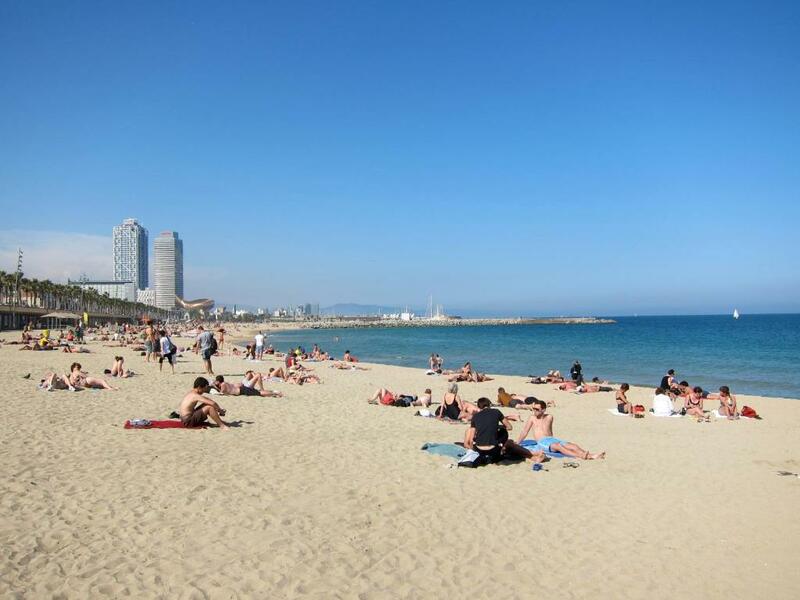 El Born is a very nice and lively neighborhood with numerous dining options and everything was within walking distance, like shopping and the metro. Location was amazing. Great neighborhood to explore. The apartment was cozy and has a great little view on the patio. Very friendly staff at check-in. Overall, really enjoyed my stay. Easy check-in, very good location of the apartment, it was a clean and nice apartment. Neighborhood was very nice, in the gothic center of the city, close to many points of interest, close to the public transportation. The Check-in was so easy and the people in the agency super friendly! 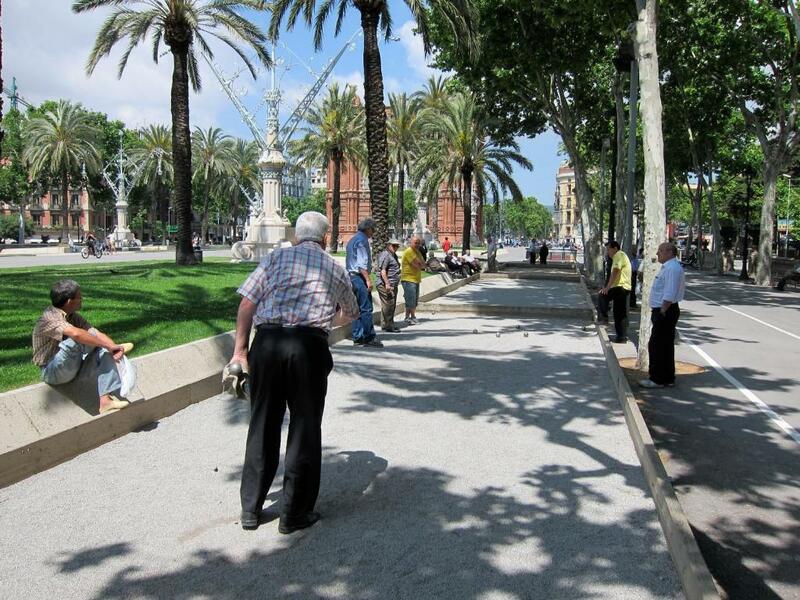 The appartment is in the middle of the center, 10 min away by foot from the street 'La Rambla' and 15 min to the beach. The appartment was clean and modern. It was a amazing stay in Barcelona. 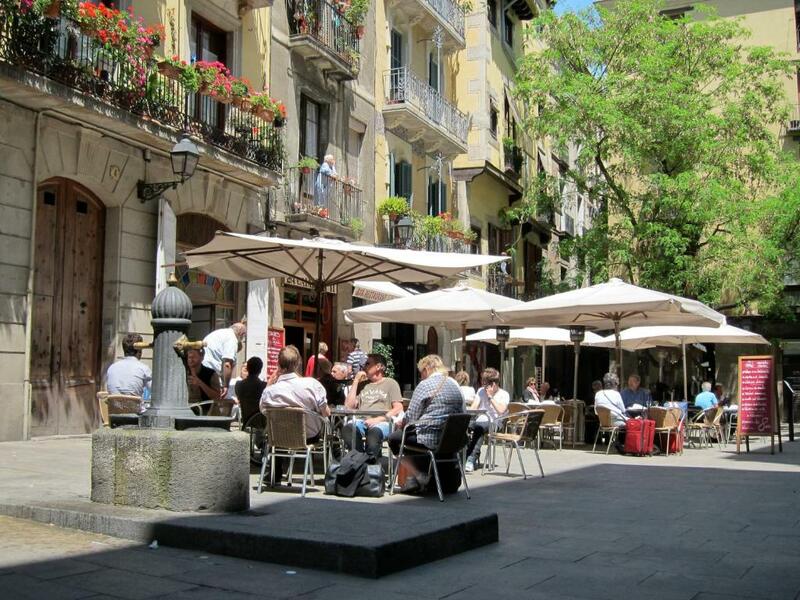 the location of apartments is exelent, close to old city, many cafes and metro. 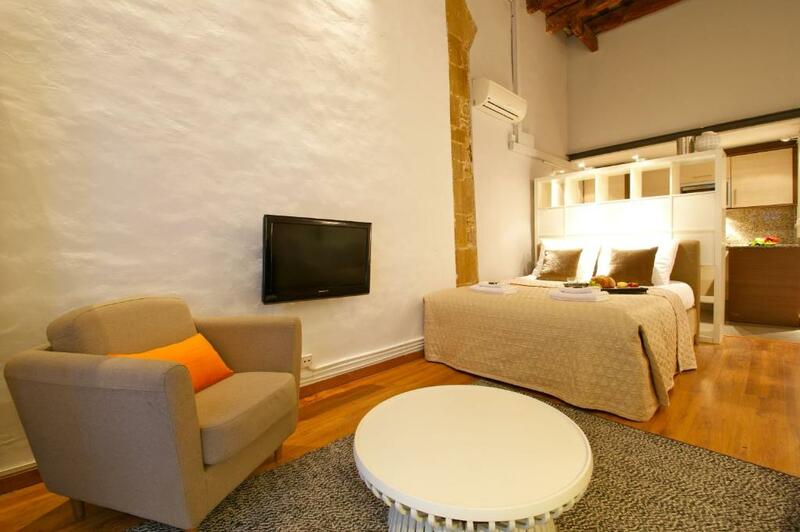 We had a well-furnished little apartment, with a nice quiet entrance, in a wonderful location next to Santa Maria Del Mar in the Gothic Quarter. Shops, eating and drinking places all close by, all relaxed and great atmosphere. 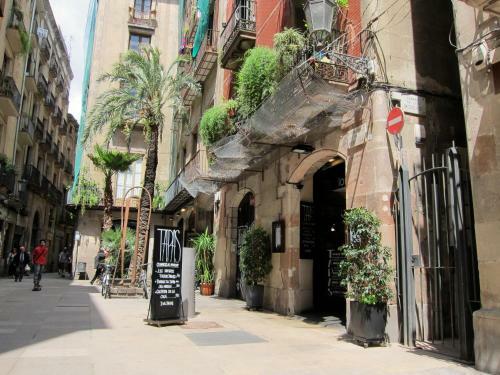 A few minutes to La Rambla and other places; short walk to Metro stations. Fantastic location in the heart of La Ribera in the Gothic Quarter - it takes a while to navigate the alleys and understand how all of the streets connect, but thats half the fun - along the way you’ll discover art, restaurants, cosy cocktail bars and every so often will stumble upon a square or a museum... the room decor is pretty cool too, very clean and modern furniture/kitchen in a very old feeling property, nice mix. Only good thing; Location of the appartment is amazing. Borne is a very nice neighboorhood. 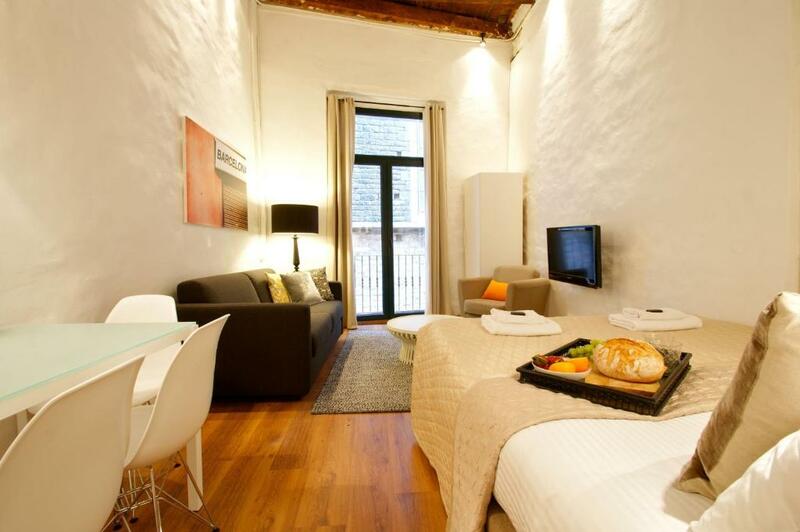 Experience real Barcelona with a stay at the FGA Downtown apartments, perfectly located in the city’s fashionable Born district. Feel at home at the Downtown apartments, housed in authentic 18th and 19th-century buildings with renovated modern interiors. 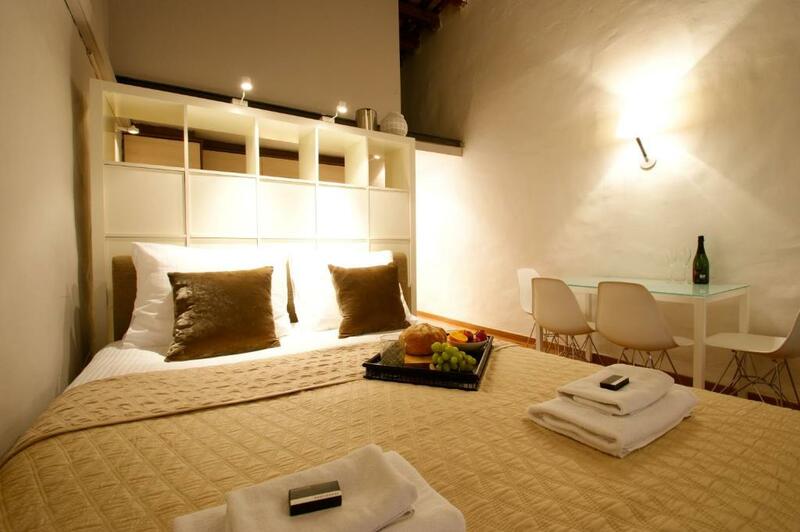 Enjoy the apartment’s designer furniture and complete bathroom. Each apartment includes a TV and a sofa bed. The kitchenette is well-equipped and features a microwave and dishwasher. Shop in nearby supermarkets, or enjoy trying the countless local bars and restaurants of the Born district. The apartments are located next to Santa Maria del Mar church and only just over a quarter mile from the sea. Take the short walk to the Gothic quarter, or use the nearby metro to visit other areas of the city. When would you like to stay at Borne Down Town Studios? This cosy apartment has been refurbished with modern style, yet preserving its original spirit: high ceilings with wooden naked beams. Right on the historic Borne quarters in a typical 18th century building, the Borne Basilica Lofts have an enthralling romantic view. Enjoy the fashionable boutiques, wine stores, trendy restaurants, tapas' bars and cafés. House Rules Borne Down Town Studios takes special requests – add in the next step! Borne Down Town Studios accepts these cards and reserves the right to temporarily hold an amount prior to arrival. It was a little bit harder to warm up the apartment, the air conditioning started hard and stopped before warmimg up tottally the apartment (for one of my friends it was cold first night, and he has no quilt, only a thin blanket). One of the balcony doors was broken, we could not open it, we could use only the other balcony, where fit only 2 of us in the same time. It was hard to find and the office was elsewhere. Would be better if someone was available at the apartment itself. Very nice apartment. Great location. the smell of salty fish and some unidentified bad smell in the hall way and stairs where I could smell it from the 5th floor. The smell in the hallway of the room was a little off-putting. The sheets had stains on them. The shower drain was clogged, and the shower head holder was loose. very noisy at night, could not sleep with open window. on the first floor is very bad smell of waste waters. Nothing much. Had to collect keys from the office a few minutes walk away, but the people there were very helpful and it was no problem. The rooms were too small and untidy. In fact we had to change 1 room as the sofa bed was broken. In the other room that we moved to had a cockroach on the bed. Though the location is good, the rooms are nowhere near to the photos shown. On arrival my children ( 4 and 7 ) got really upset about the smell at the apartment and did not want to go in. I dont know whether the street has a sewage problem, but the smell was awful when we arrived and not what you expect to deal with. The smell remained for the whole weekend. For a family of 4, this apartment was also too small. The area was a good spot, but the street noise in the evening was unbelievable. We had to invest in ear plugs for the whole trip. 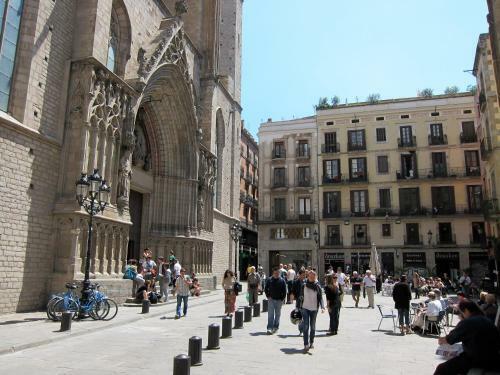 If you don’t live in a busy city, then this is a really noisy area, but we were prepared to tolerate it for our short trip as it was away from the hustle and bustle of La Rambla and had cheaper cafes and restaurants - that’s the one positive thing. Great overall location in the Gothic Quarter. We booked for three people, understanding that one of the beds is a sofa bed. Hardly any floor space when the bed is unfolded, hot water ran out after two people showered, not enough hangers in the wardrobe for three people to hang a couple of items... recommend the studio for couples or two friends but three was a serious squeeze. Also, the shower door was broken, every time we showered we had to fight to get the middle panel to stay in place. The main hall when you come through the entrance smells of sewage but luckily this smell does not travel up to the room (at least not on the 4th floor where we were).